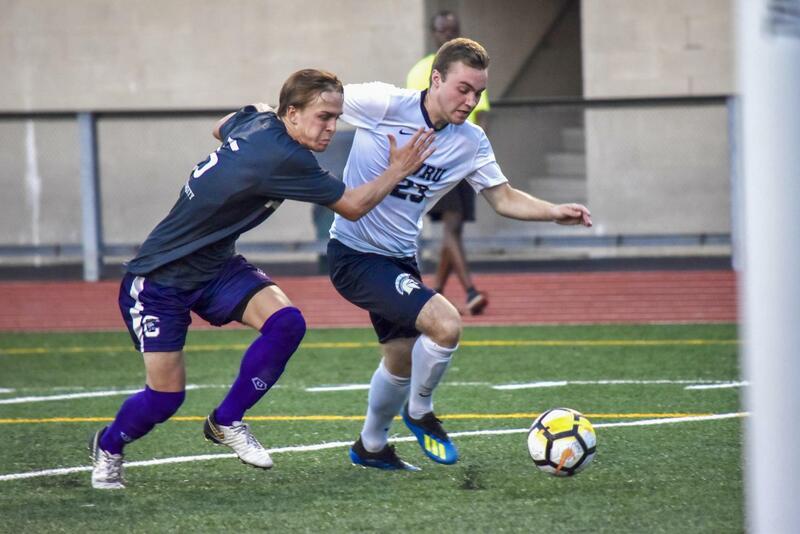 The Case Western Reserve University men’s soccer team defeated two formidable teams, who both made the NCAA Division III tournament last year, in No. 22 Capital University 1-0 and John Carroll University 2-1 last week. In the first half against the Blue Streaks of John Carroll, both teams traded shots but did not convert them into goals. The Spartans attacked first, with four shots in the first fifteen minutes. John Carroll responded with a flurry of shots of their own, but first-year goalkeeper Charlie Fink managed to save three shots in the half. 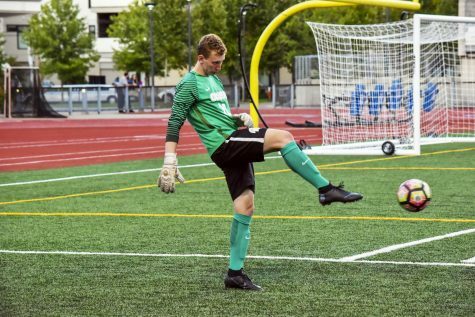 Opposing first-year goalkeeper Tommy Gallina matched Fink with two saves of his own, highlighted by a close block on a header by second-year midfielder Connor Weber. Head Coach Brandon Bianco praised Fink’s performance in his first season. “It’s difficult for [first-year players to play his position]…He’ll get more settled as the season goes along,” he said. 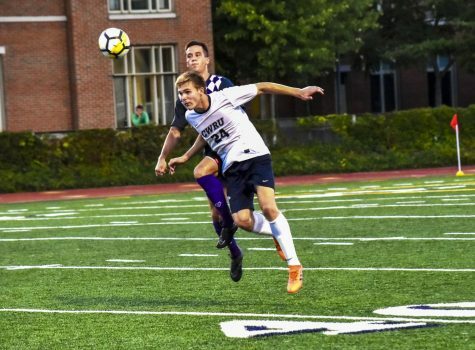 The showdown of goalies halted in the start of the second half, with John Carroll scoring a surprise long go-ahead goal eleven seconds in the half. The 1-0 deficit pushed the Spartans to play more aggressively, outshooting the Blue Streaks 10-5 in the second half. The Spartans managed to create corner kick situations to set up headers, but they failed to convert. Around the 78th minute, third-year midfielder Garrett Winter blitzed through the John Carroll defense and dumped off to first-year midfielder Peter Dernelle for the first goal of his collegiate career. The pressure was on to break the tie. Winter again danced around the defenders and took a long shot but was off the mark. The Spartans moved the ball around and forced two corner kick situations. Weber connected with third-year midfielder Marques Manta on a header, but Gallina saved it. 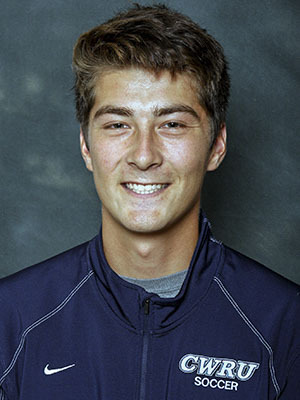 Manta, desperate to put the ball in the back of the net, slipped through the defense and dropped off a pass to second-year forward Seldon Magruder for a low goal. 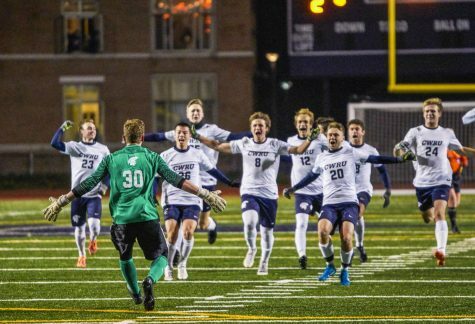 Magruder’s game-winning golden goal was three minutes into overtime. Against Capital at home, both teams did not score in regulation, and the defenses had their shining moments. Fink saved an early long shot in the first four minutes of the game, and the Spartan defense forced a shot too high. Third-year forward Zachary Senft and Magruder both attempted shots, but the opposing goalie saved both, with the keeper deftly stepping up to block downwards on Magruder’s shot. The keeper managed to save seven total shots in the game, while Fink saved four. In the second half, the closest the Spartans ever got was Senft’s lofty curve attempt from the left side of the field, but it hit the post. The Spartans remained the attackers on offense, with 17 total shots in the game compared to Capital’s eight shots. With a lot of experience in crunch time situations, the Spartans did not succumb to the pressure of overtime. They knew to attack immediately for the goal. 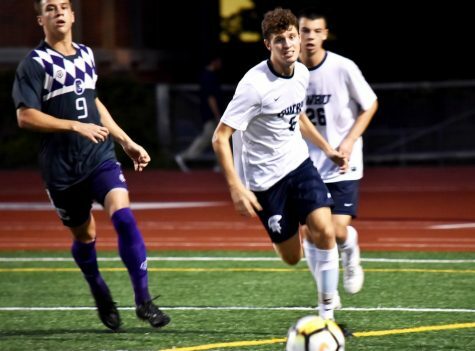 Right at kick off, the ball was sent to Senft who spun to the right, back to the left and sprinted a little bit left of the goal box, faked the shot, spun to the right again and passed to second-year forward Maximillian Klemmer right in front of the goalkeeper. Klemmer hit the game-winning shot. Senft put the three defenders and the goalie in the spin cycle, and because the defense was so absorbed onto him, Klemmer was left open for the shot. The Spartans handed the Crusaders their first loss of the season. 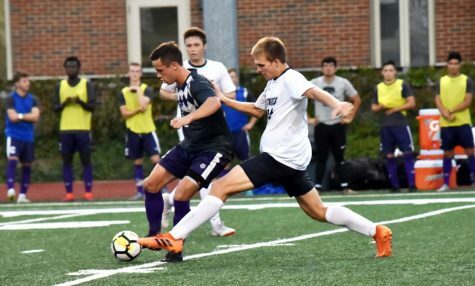 The men’s soccer team continued their win streak against Heidelberg University on Sept. 19, winning 4-0. They continue their home stand against Adrian College on Sept. 22.